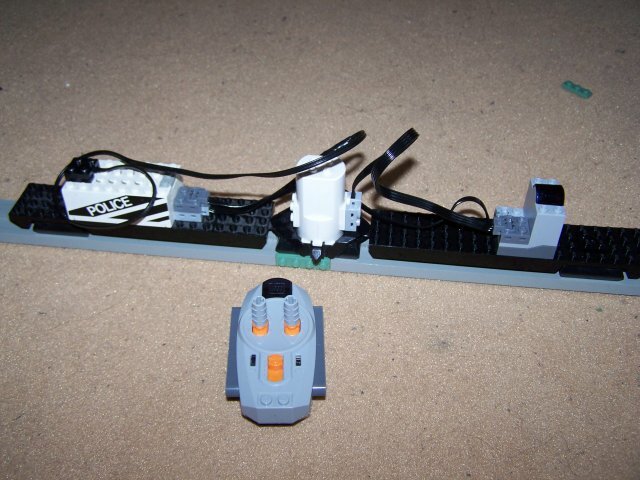 Maybe after I get my own Power Function set I might be able to figure this out a little better, but over on mabidati.de, Maik & (his son) Daivd Schenker posted steps in adding a remote control to their monorail. The problem was getting power from the old 9V system to power the receiver, so after zusammengelötet-ing a few wires, it now works. I'm a little unclear about where all the wires go, but it shouldn't be too hard to figure it out after making the wire modification.